There were some Texas athletes and teams making their first appearances at Nike Cross Nationals (NXN) as well as several making a return trip. In both races, the South team (made up of majority Texas individual athletes) were in the thick of things at the start of the races. The boys and the girls race had all of the five team members in the chase pack. 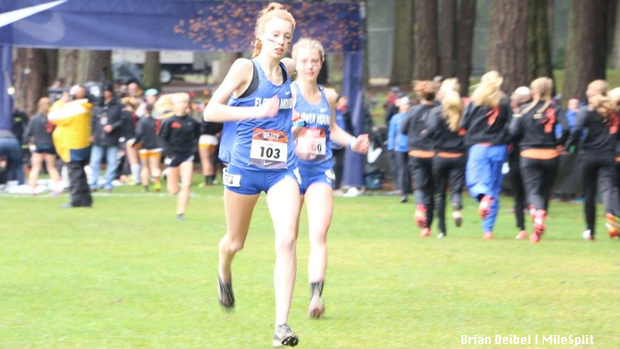 All of the returners seemed to use last year's experience to adjust their race strategy, and those at NXN for the first time appeared to use their familiarity with the other South girls. Arguably, Texas' top girl, London Culbreath was in the lead chase pack at least until the two mile marker. Culbreath, who had been untouchable all season long putting on race ending moves that no other runner had been able to match had difficulty at the end of this race. The hill that caused everyone problems all race long, stood approximately 150m from the finish line as it would catch Culbreath's steps and trip her up. She would fall and struggle to get to her feet and over the hill to make her way to the finish. That strong start from the rest of the South and Texas girls would continue throughout the remainder of the race. Both the returning and first timers would show how strong Texas was. Led by a 17th place finish from Allison Wilson (17:33), the rest of the girls would represent well. This year's 6A champ Ashlyn Hillyard (17:41) finished in 25th place followed by Heidi Nielson (17:42) in 26th place. Also finishing strong was Culbreath 49th (18:03) and Brynn Brown in 50th (18:05). 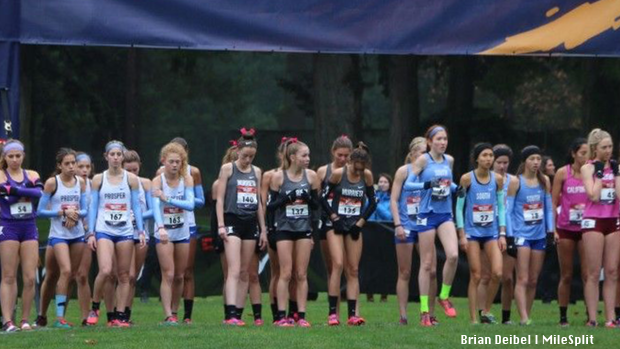 The girls had two qualifying teams full of girls who were making their first appearance to NXN. Behind the lead of their top two girls all season long, Flower Mound scored 401 points for an 18th place finish. Senior Anastaysia Davis, finished 56th (18:09) and freshman Natalie Cook was close behind in 606h (18:13). Prosper was able to get an eye opening experience as well as they finished 20th overall. Freshman Aubrey O'connell led the Eagles finishing 41st (17:59), this could be the beginning of a solid program for time to come. They finished with 450 points. NXN first timer Edwin Gomez swung for the fences from the start. It was the race of his life and he set out to make the most of it. Gomez led the race through the first 1K. Most of the South boys were hanging around the lead chase pack as well for the majority of the race. You could see the light blue jerseys battling tough as they fought for position to set themselves up for quality races. Flower Mound's Alex Maier had a solid bounce back from his NXR South race where he suffered from pnuemonia. He finished seventh overall (15:10) and back at the top of the national standings where he was prior to sickness. NXN first timer Anthony Monte (15:28) and Carter Cheeseman (15:28) both had top 30 finishes. They were followed by Camren Fischer 55th (15:48), Cruz Gomez 65th (15:52), Edwin Gomez (16:05), and Jarrett Kirk (16:08). Team wise Southlake Carroll made their annual NXN appearance. They were led by juniors Nate Lannen who finished 84th place (16:04) and Tim McElaney who finished 92nd (16:08). Overall, the Dragons would finish in 20th place with 410 points. El Paso Eastwood finally made their first trip to NXN. Eastwood was unable to have their typical front running and tight pack race. Junior Elias Perez and sophomore Sergio Leon Cuartas led Eastwood as they ran to 117th (16:21) and 121st (16:23). Eastwood finished 22nd overall with 470 points. The Great Northwest is still tough on Texas athletes. In fact, the Glendoveer course has proven to be particularly tough for South athletes and teams to have much success. While there have been some individuals and teams from the South to have success, based on the results, it is clear there is a challenge that has yet to be overcome. Is the rest of the country heads and shoulders better than South athletes? I'd say no. Yet, they consistently perform better at NXN. Why? What is the reason the best athletes and teams from our state and our region are consistently outperformed at this meet? Would the results be markedly different if the meet was held on courses and in conditions that are comparable to Texas courses and conditions? Are the conditions Texas athletes compete in for the majority of their season even available in December? The majority of the cross country courses in Texas are flat, dry, and hard. The course conditions at NXN are usually quite the opposite, as they are traditionally hilly, wet, and soft/soggy. Although, the meet is at a golf course, the grass isn't the quick golf course type of grass. It's thick and causes more effort per footstep, especially when wet. NXN is also competed a month after the Texas state meets. The Texas cross country season now starts in late August, that means hopeful athletes and teams must compete for five months. There are a lot of questions, but what are the answers or solutions? Texans can't possibly train much better, but the length of the season, or the start and finish of the season could be modified to be more conducive to success. For several of the South girls, they will get another shot at a national championship. Brown, Culbreath, Nielson, and Wilson have all qualified for this weekend's Foot Locker Nationals. For the boys, Cheeseman and Gomez will also have an opportunity at a Foot Locker win. All of these athletes have legitimate chances at placing high and pushing for the win. The weather conditions are usually comparable to what they are used to as are the course conditions. 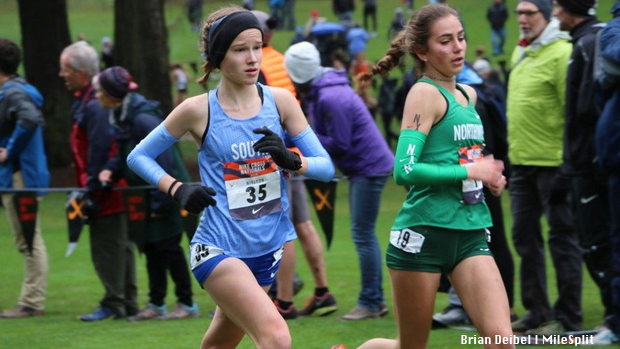 Of the five NXN South girls, three of them will return next year and have an opportunity to return as four of the five boys representatives will be back next year. They will have the chance to get back and improve on this year's race. El Paso Eastwood returns five of their top seen runners and could potentially be even better next season. Southlake Carroll returns four of their seven who participated at NXN. Both boys teams could have increased their odds of qualifying again by gaining the experience. The two girl's teams could as well be looking at possible return trips. Flower Mound will return six girls as they only had one girl in their top seven who wasn't a sophomore or younger. Prosper's youth movement is fairly similar. They will graduate only one girl and return six including four girls sophomores or under.